Lowest Prices, Largest Selection,Best Value. 1 year Money back Guarantee.We stand behind our products. Quality driven, We are providing a quality product at competitive prices. Professional Customer Service Toll-Free. We are here to help. 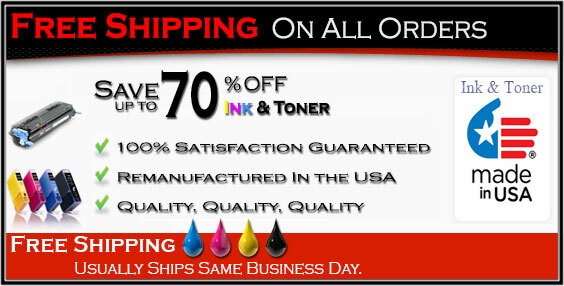 Remanufactured cartridges are ISO-9001 and/or STMC qualified.